Scientists have developed the world’s sharpest laser with record-breaking precision. This laser can help to make optical atomic clocks more precise. And also test the Einsteins theory of relativity. Ideally, laser light has only one fixed wavelength or frequency. In practice, the spectrum of most types of lasers can, however, reach from a few kHz to a few MHz in width, which is not good enough for numerous experiments requiring high precision. Researchers have now developed a laser with a linewidth of only 10 miliHertz (mHz) — closer to the ideal laser than ever before. This precision is useful for various applications such as optical atomic clocks, precision spectroscopy, radio astronomy and for testing the theory of relativity. The letters in the word laser stand for Light Amplification by Stimulated Emission of Radiation. A laser is an unusual light source. It is quite different from a light bulb or a flash light. Lasers produce a very narrow beam of light. Nine more locations in Kerala have been identified as Important Bird and Biodiversity Areas (IBAs). The new list was released by the Bombay Natural History Society, a partner of BirdLife International, in its recent publication, Important Bird and Biodiversity Areas in India Priority sites for conservation. With the latest addition, Kerala now has 33 IBAs. Kerala IBAs are home to three critically endangered species — White rumped Vulture, Indian Vulture, and Red-headed Vulture. The newly identified IBAs of Kerala are Achencoil Forest Division; Anamudi Shola National Park; Camel’s Hump Mountain, Wayanad; Kurinjimala Wildlife Sanctuary; Malayattoor Reserve Forest; Mankulam Forest Division; Mathikettan Shola National Park; Muthikulam-Siruvani; and Pampadum Shola National Park. Declaring a site as an Important Bird and Biodiversity Area does not ensure that the site gets legal protection or becomes inaccessible to people. Instead BirdLife International encourages national and State governments to recognise the areas as sites of vital importance for conservation of wildlife and to empower local community-based conservation initiatives. Carrie Lam was sworn in as Hong Kong’s chief executive, becoming its first female leader. Shantanu Narayen and Vivek Murthy will be honoured with the prestigious ‘Great Immigrants’ annual award on US’s Independence Day on July 4. They are among 38 immigrants to be honoured this year for their role in helping advance the country’s society. Shantanu Narayen is an Indian American business executive and the CEO of Adobe Systems. He was born in Mumbai and grew up in Hydrabad. Vivek Hallegere Murthy is an American physician and a vice admiral in the Public Health Service Commissioned Corps. He served as the 19th Surgeon General of the United States. Murthy was born in in Huddersfield, England, to immigrants from Karnataka, India. The book “President Pranab Mukherjee – A Statesman” has been published by The Statesman, one of India’s oldest English-language newspapers. This book, a comprehensive photographic record of India’s 13th President. It covers Shri Mukherjee’s Presidency and documents his various roles including those as a humane first citizen, as a thought-leader , as a patron of educational institutions & the arts and as the Supreme Commander of the Armed Forces etc. The President of India, Shri Pranab Mukherjee received the first copy of a book “President Pranab Mukherjee – A Statesman” from Prime Minister who formally released it at a function held at Rashtrapati Bhavan. 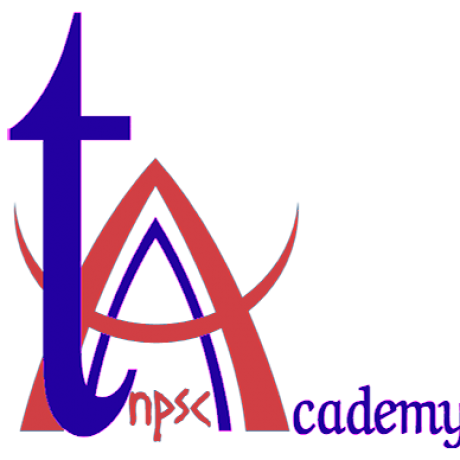 0 responses on "TNPSC Current Affairs July 03, 2017"